SAVINGS with the Envi Power Save System! Every month, we get our energy bill and have no way of knowing why it is what it is. We can speculate or simply trust that the meter on the side of the house is accurate. Be in the dark no more! 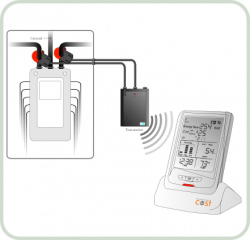 Take control of your energy usage with the Envi system! Please read more about this innovative sysem by clicking onto the PowerSave link in the top right navigation menu.